If you’ve been jealous of the fancy navigation buttons used by the Pixel and Pixel XL, you can now add them to your Android device without having to root it. The $0.99 Pixbar app on the Play Store gives you the illusion that your on-screen navigational buttons are identical to those on the Pixel phones. In reality, it’s only coloring in around the nav buttons that you already have. 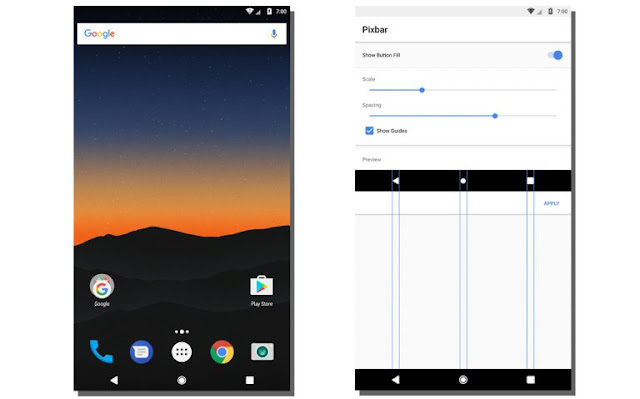 Pixbar currently works on Android devices running stock Lollipop and above, but the developer is working on adding support for Sony and HTC devices as well. There are still a handful of bugs which need to be worked out, but Pixbar is definitely worth a look if you’ve been itching to make your Android phone a little more Pixel-like.